CJC-1295 with DAC is a long acting Growth Hormone Releasing Hormone, which causes the anterior pituitary to release more growth hormone. GHRH is released in pulses in the body, which alternate with corresponding pulses of somatostatin (growth-hormone inhibiting-hormone). Clinical Research was first conducted for CJC-1295 during the mid-2000s. The objective of the peptide was to treat visceral fat deposits in obese AIDS patients, as increased levels of exogenous hgH are presumed to increase lipolysis (fat loss). The clinical research was ultimately successful for most research subjects. Ghrelin, released from the gut, which circulates and acts as a hunger hormone, has synergistic activity in the body with GHRH and also suppresses somatostatin to make way for the GHRH pulse. Studies shows that combining a GHRP-6 with CJC 1295 DAC, significantly increase the release of GH and IGF-1 production without an increase in prolactin. An example of a GHRP (GH Releasing Peptide) is Hexarelin or GHRP-2. 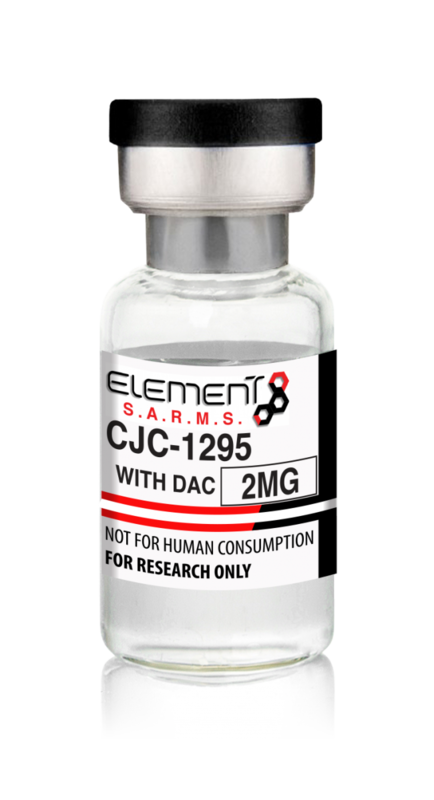 CJC 1295 DAC is a exceptionally designed peptide and is known for being the finest of the hGH secretogues. The DAC (Drug Affinity Complex) portion increases the half-life by binding with serum albumin and protects the CJC-1295 DAC peptide from degradation. This was formed when a lysine link was bounded to DACs to a reactive chemical called maleimidoproprionic acid (MPA). Words can not describe how good the quality of LGD-4033 is. Wonderful! Definitely worth the money!